The buses depart from just outside the airport arrivals terminal traveling directly to Reykjavik. 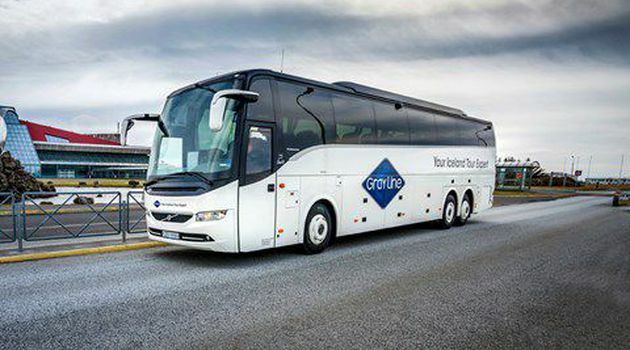 Upon arrival at our bus terminal in Reykjavik, drop-off shuttles will drive passengers to their respective hotels and guesthouses around the city. When you have collected your luggage and passed through customs and immigration if required, please continue on to the arrivals hall of the airport. There you will find our staff with signs for "Airport Express - Passenger Pickup" and they will direct you to the correct bus. Please note that due to traffic restrictions in the city center, drop-off may not always be directly in front of the hotel but at a nearby bus stop instead.